This spicy Dutch-Indonesian peanut sauce has become part and parcel of the modern Dutch kitchen. In fact, in the Netherlands today, satay sauce is not only enjoyed with Indonesian classics such as the eponymous skewered meat dish or Gado Gado, but also with Dutch-style fries and barbecued meats. 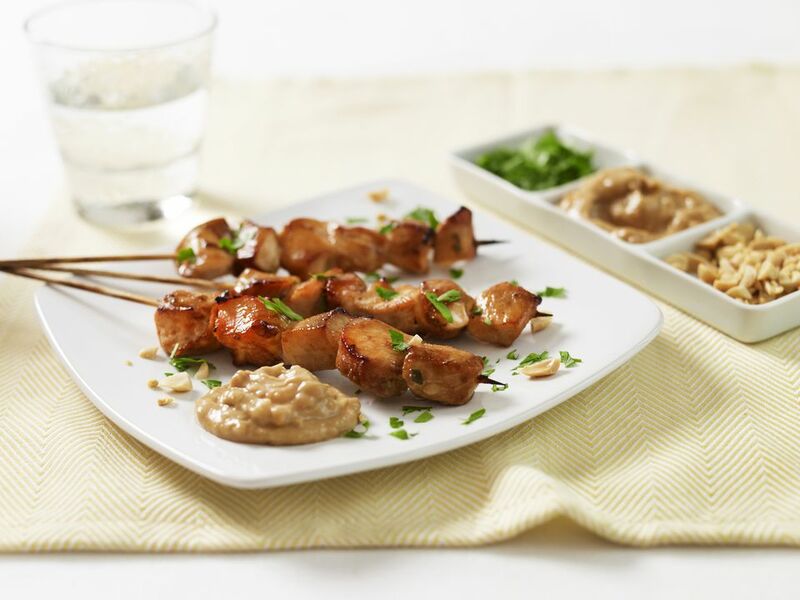 Our satay sauce can be prepared well in advance and keeps well for several days when chilled. Fry the onion in the oil in a saucepan over a medium heat. Once the onion has softened and browned slightly, add the ginger, garlic, peanut butter, and the ground candlenuts. Add the kecap manis, coconut milk, lemongrass, and the lime leaves, then bring to a simmer. Cook for about 10 minutes. Now add the sambal and taste for seasoning. If you prefer a spicier sauce, add more sambal or more kecap manis if you prefer it saltier. If the sauce has thickened too much at this point, add some warm water. Fish out the lemongrass and lime leaves, then give the sauce a quick whisk before serving. If you can’t find kecap manis (available at most stores selling South East Asian ingredients), simply use regular soy sauce and a teaspoon of sugar. Use regular roasted peanuts if you can't find candlenuts. If you can’t find kaffir lime leaves, substitute with lime peel.